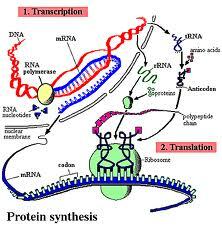 Proteins, which are made up of amino acids, are like the building blocks for your body. In children they are responsible for healthy growth, in adults they repair damage to our tissues and help maintain our muscle mass. All animal and plant foods contain some protein but the amount of protein present in food varies widely. It is not just the amount of protein that you need to take into consideration - the quality of the protein is also important and that depends on the amino acids that are present. There are eight that are vital for life. These are known as the indispensable amino acids and include Leucine, Isoleucine, Valine, Threonine, Methionine, Phenylalanine, Tryptophan and Lysine. In children, Histidine is also considered to be an indispensable amino acid since they are unable to make enough to meet their needs. If a protein contains the indispensable amino acids in the proportion we need, it is said to have a high biological value. If it is comparatively low in one or more of the essential amino acids it is said to have a low biological value. In general, proteins from animal sources have a higher biological value than proteins from plant sources. Vegetarians can combine different foods to compensate for the lack of an amino acid in a particular food. For example protein from pulses and wheat complement each other to give a high biological value so something like beans and toast provides a good protein meal. The Reference Nutrient Intake (RNI) is set at 0.75g of protein per kilogram bodyweight per day in adults so if you weigh 80 kilos or 12 ½ stone you would need around 60 grams of protein per day. There is an extra requirement for growth in infants and children, and for pregnant and lactating women. What are the best sources? What if we get too little? Protein deficiency is unusual in Western Countries. Protein energy malnutrition (PEM) describes a range of disorders occurring mainly in developing countries. It mainly affects young children and is the result of both too little energy and too little protein in the diet. The two most common forms of PEM are marasmus and kwashiorkor. What if we get too much? Eating too much protein is an example of where too much of a good thing may not be healthy. Consuming excessive amounts of protein over an extended period of time may even have damaging consequences. For instance, too much protein increases the workload of the kidneys and liver and may affect the absorption of calcium and other minerals. High-protein diets may also be too low in calories and other important nutrients. Diets that are low in carbohydrate and high in protein are receiving a vast amount of media attention at the moment due to their claims of being the most effective for weight loss. The hype created is being propelled by the many celebrities currently resorting to these diets. Some people DO lose some weight in the beginning on these high-protein diets because they provide very few calories. But, over the long term, they may deprive your body of the energy it needs to function, and they are often inadequate in some other major nutrients. Be very careful, these diets may do more harm than good in the long run. Eating a diet that is balanced and contains an adequate amount of protein while taking regular exercise is a far safer and easier way to lose weight in the long term.